Rice noodles, Thai spices, tofu, green onion, crushed peanuts. Sweet soy glaze, flank steak, garlic, snipped green onion. 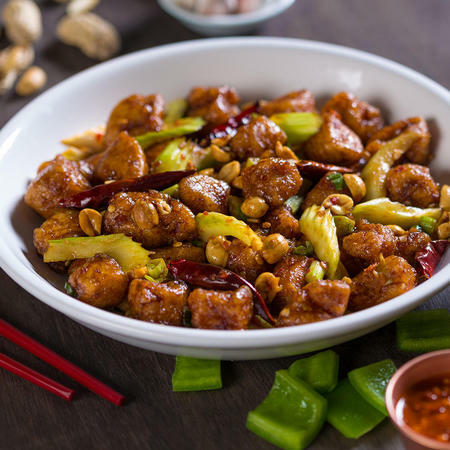 Spicy Sichuan chili sauce, peanuts, green onion, red chili peppers. Get the most out of your next night with these easy takeout tips. With roots in Chinese cooking, the culinary landscape at P.F. Chang’s stretches across Asia with diverse, culturally inspired recipes. Your P.F. Chang's Birmingham serves a variety of Asian-inspired dishes, including hand-rolled sushi, Vietnamese-style soups and bowls, traditional Chinese dim sum, wok-fired chicken and beef entrées, and family-style noodles and rice. All made from scratch every day. P.F. Chang’s honors the 2,000-year-old Asian tradition of wok cooking and believes in making food from scratch every day in every restaurant. 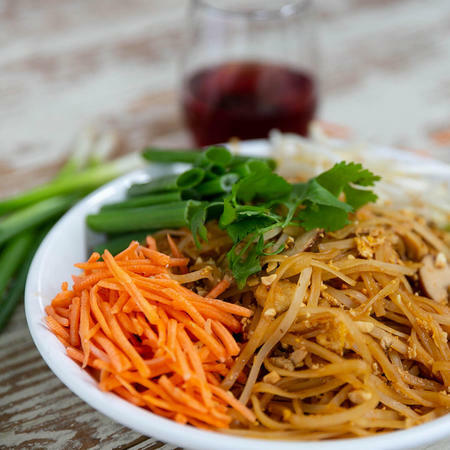 With a Farm to Wok™ food philosophy at its core, P.F. Chang’s chefs hand-roll dim sum, hand chop and slice all vegetables and meats, handcraft every sauce and wok-cook each recipe, every day in every restaurant using wholesome, fresh ingredients. P.F. 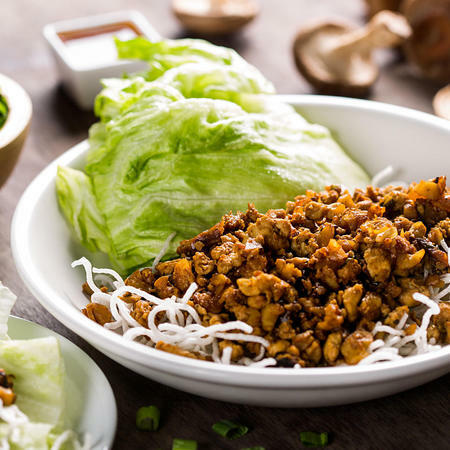 Chang’s is known for its Chang’s Lettuce Wraps, a secret Chiang family recipe that hasn’t changed since the very first menu. 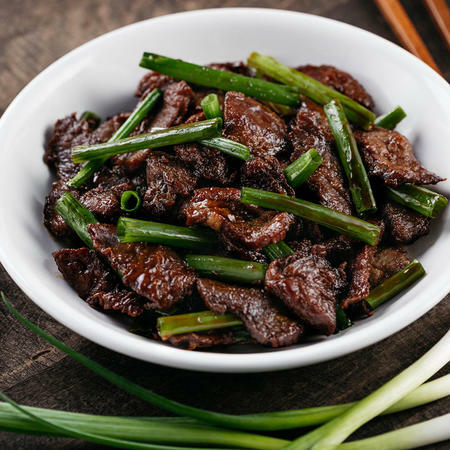 Other signature classics include Mongolian Beef, Chang’s Spicy Chicken, Crispy Honey Shrimp, and Cecilia’s Dumplings. Visit P.F. Chang's Birmingham. Make a reservation to dine in for lunch, happy hour, or dinner, or order takeout online at pfchangs.com. Self-parking is conveniently located near the restaurant. Complimentary valet available.